Ahmed Sharaf, head of the museums section at the antiquities ministry has been arrested for allegedly taking a bribe from a Greek-Egyptian contractor working on the restoration of the bomb-damaged Museum of Islamic Art. Confused writing, it is unclear what objects this article is talking about. Your guess is probably better than mine. Four undocumented antiquities were found in the US consulate in Alexandria. There isn’t an implication that they are stolen, just that they are undocumented. Now on show at the Met. The article title isn’t saying that the items are illicit, however they seem to have come out of Mali in or around 1972 making them, well, illicit. An interview with Mallam Yusuf Abdallah Usman, Nigeria’s director-general of the National Commission for Museums and Monuments. You shouldn’t be buying ‘ancient gold’ anyway, for obvious reasons. One less obvious reason is this: a total scam selling fake gold artefacts. A historian for the Frog Lake First Nation has found evidence that a church bell in Saint-Boniface Manitoba was actually stolen from Our Lady of Good Counsel Mission at Frog Lake in 1885. Article about missing artworks commissioned by the Works Progress Administration during the Great Depression. A look at the real Chez Tortoni, the subject of a Manet stolen in the Gardner heist. Don Miller was 91. Last year he was found to have thousands of illicit antiquities from around the world in his home but hasn’t faced charges. No word on how the investigation is going. The Old Trondhjem Church in Minnesota was broken into and historic records and photographs, including WWI letters, were stolen. The items were found in a ditch. Portrait of a Gentleman is being restituted to the heirs of Julius Priester, a Viennese industrialist. The man is a permanent Bulgarian resident and is among a group of people facing charges. 19 Roman stone items were seized, along with 9000 coins and dies for producing fake ancient coins. It looks like Gurlitt’s family’s claim has been denied and the whole mess is going to the Kunstmuseum Bern. The British Museums “have decided respectfully to decline” Greece’s request for UNESCO mediation for the Parthenon sculptures then basically say the way forward is to lend them to Russia. This article is flawed. Putting aside the fact that the author doesn’t seem to realise that these items were seized in 2003, they were stolen from the Italian people and Italy has no right to sell them, even on public’s behalf. Furthermore, pushing looted antiquities onto the market just encourages the market. Violin and Bottle of Bass by Picasso was seized from a frame maker who says a client gave him the painting 40 years ago and that he didn’t know it was a Picasso until recently. 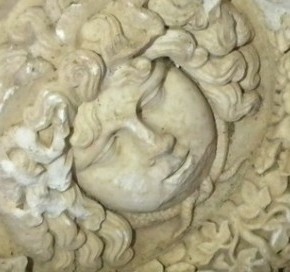 Also in this story, some roman marble sculptures were recovered in a separate case. La Virgen y El Niño was stolen from the cathedral of Roda de Isábena in 1979. It was recovered in Houston in 2012. The 26 watches were taken from the museum of watchmaker Montres DeWitt SA on March 22. This was most of the museum collection. One of the men on trial for theft of Asian artefacts from 12 UK museums has admitted he was involved. Of course the rest of the 11 suspects deny their involvement in the museum thefts. The 200-year-old burial of Stephen Williamson was robbed at Kilrenny Church, Fife sometime between 1 and 8 March. His skull appears to have been taken. Beaching A Boat, Brighton, was thought to have been looted from Hungary during WWII and return was recommended. Without details it seems like the Tate is claiming they have new evidence that it shouldn’t be restituted. 10 major UK funding bodies have announced that they will not work with museums that violate the advice of the Museums Association, in particular with regard to deaccessioning. These Maori store house panels, famously part of collector George Ortiz’ raising a ransom for his kidnapped daughter auction, have been returned to their rightful owners. Sadly this was only after New Zealand bought them from Ortiz’ kids. A Maori language (with English subs) news spot on the return of the Motunui panels. A discussion with Phay Siphan, spokesman for the Office of the Council of Ministers, who has represented Cambodia in artefact return cases. China’s State Administration of Cultural Heritage is on the mummy-in-a-statue case. The collector says that he got the statue/monk from a friend in 1994 and shipped it from Hong Kong to Amsterdam in 1995, the year it was reportedly stolen. However the Da Tian Museum in Fujian has photos of the stolen statue and say they match. I have this book on my table, it is my weekend read. I am excited to see Karl Meyer back on antiquities trafficking. …if someone proves it to him that it was actually stolen from a Chinese temple and as long as it doesn’t go into a state museum. Local media is saying that another mummy statue was stolen from Xianglin Temple in Fujian province’s Gekeng township in late 1996. An sculpture which resembles those from Khajaraho was seized with no documentation in Canada in 2011 but such a piece has not been reported stolen in India. The ASI is heading over to check the piece out and file a report probably in advance of a claim. Four have been arrested for stealing a copper crown from a temple tower at Periya Kadai. An ancient statue was stolen from Rudraksha Shiva temple in Bilunchi village, Rajasthan. Included because the allegations come from Qais Hussein Rashid. No specifics or proof were offered in this short piece so don’t read it as fact. Apparently that ‘stepping up’ is a social media campaign that isn’t even targeted at those doing the destruction or the communities affected by it. I am unconvinced. The looting was allegedly happening near Afula in the Jezreel Valley and it seems he may have hit a storage unit of some kind. The man has been arrested for looting before. The last inch of Scafell PIke was removed to be part of an art exhibition by Ecuadorian artist Oscar Santillan. Not everyone is pleased. If they really are his guns, they would be considered stolen and smuggled, totally the property of Iraq. The seller could face up to 5 years in prison and a $250k fine.